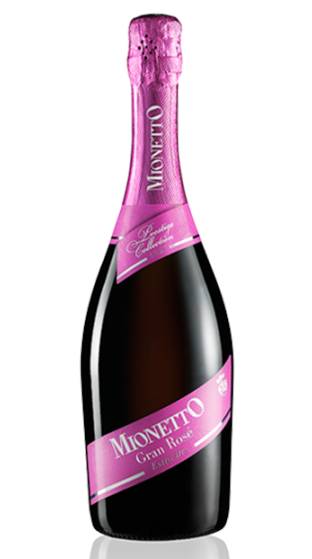 Tasting Note: Mionetto Gran Rosé Extra Dry is an irresistible Spumante from the Mionetto Prestige line with a captivatingly fine and long-lasting perlage that makes an ideal aperitif. Its cuvée of red grapes from Veneto and Trentino exude a beguiling fruitiness aroma with notes of pink grapefruit, raspberry, pomegranate and black currant. Its finely fruity taste unfolds with hints of raspberry, with a dry, refreshing finish. This sparkling Italian wine is a summer-time hit waiting to happen.